You may be new to this website, and wondering what kind of grill is best for you. There’s no one BBQ buying guide that will find you your perfect grill, although we do have quite a lot of them on this website. The selection criteria for buying a grill are probably quite different for each individual. I can’t just predict what you need – you have to become informed yourself. If it comes down to your budgets, then you’ll want to weight the pros and cons between gas grill and coal grills. Generally speaking, coal is much cheaper than gas and you can use about any old grill to set yourself up. What’s your budget? Coal is much cheaper than gas, which may mean you’ll want to stick to fire. How many people are you cooking for? If the answer is more than 3, you need a grill that heats quickly while giving you a lot of space. The packaging of the grill can be deceptive, and includes also the grill if there is one. They are not known for being accurate. Is time an issue when you’re cooking? Coal takes a lot longer than gas, and requires much more cleanup than electric as well. This is because once you’re done cooking, you must wait for the coal to cool and dispose of it properly. This is definitely one of the buying considerations you should take into account if you’re pressed for time. If you have the money, a gas grill is a convenient way to cook if you absolutely want fire but don’t want the charcoal. It cools down much faster than a charcoal grill. What size grill do I need? This completely depends on how you plan to use it. Will you be cooking for 2? Then a small electric grill could do the trick. If you’re cooking for 3-4 almost any option will have enough space to cook the main course. 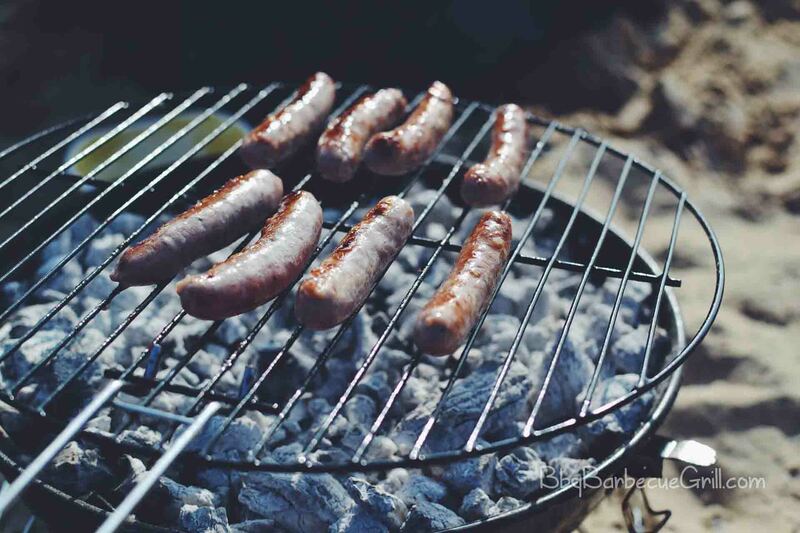 If you plan on cooking for more than that, a large grill that cooks outdoors, such as an electric grill or griddle, is likely to be your best bet. Read on to learn more about the different grill types. What will you want to cook with your barbecue? This will also help determine your grill type. Some people like to cook side dishes in the oven, while others prefer to throw vegetables on the grill with the other food. Where will you be storing and transporting your barbecue? Will you keep it indoors, in a shed or the garage? If you don’t have a lot of space, and live in an apartment or condo, a portable electric grill is probably your best bet. If you plan on taking your grill with you on a holiday trip, there are electric grills that can fit easily in your baggage. Most of the grills you can purchase will have add-ons, and when it’s the electric grill, the extras include a lot of things that simulate smoke grilling. There are special trays you can buy that simulate grill charring and hot stones that you can use for grilling pizza. You will also need safety equipment, such as heat-resistant mitts and a bucket for charcoal if you use a traditional BBQ grill. When you’re grilling with fire, it’s important to have safety gear around you at all times, including a fire extinguisher. What other gear do you need to get started? Get a good, large metal spatula for your hamburgers and hot dogs. Make sure you have tongs as well. Keep a stash of kabob sticks in your kitchen, and collect your herbs obsessively so that you have a rich supply of them all. There are different types of grills, which fuel their cooking heat in different ways. Gas grills can attach to your kitchen’s gas lines, and can often be operated indoors. Charcoal grills must remain outside and when in use, be at least 10 feet (or more, check local laws) from the house and any other flammable structures. 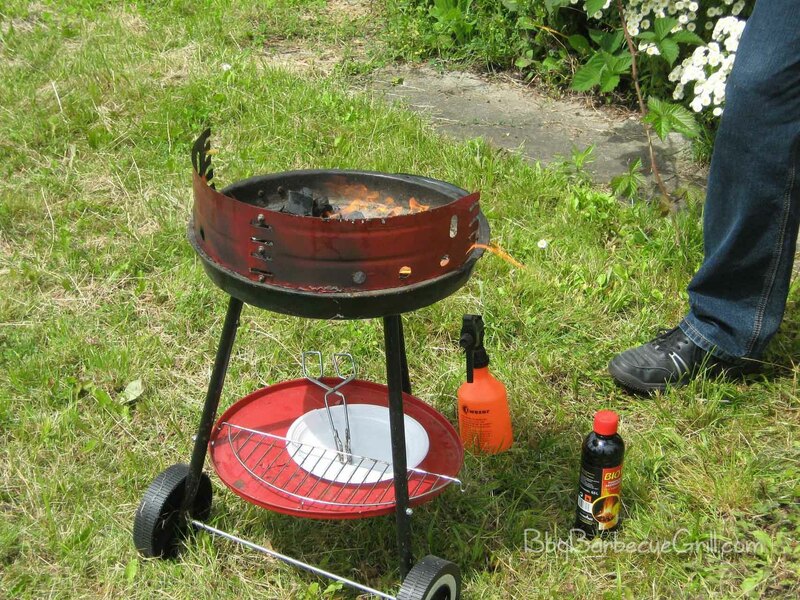 Gas Grill: This hooks up to your gas supply or has its own propane tank. Propane tanks do carry a danger of leaking, but they are a reliable source of energy that will possibly take years to use. Gas grills can give you a flame-cooking source. Many are designed for indoor/outdoor use. 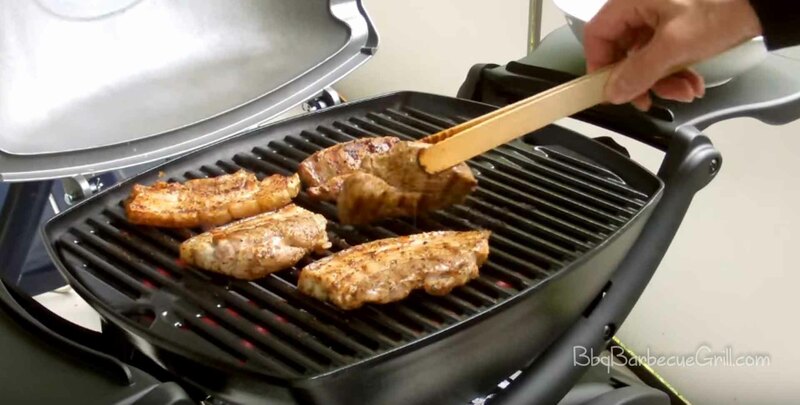 Electric Grill: An electric grill is the safest and easiest grill to use. They work great for small spaces and are made in sizes that are portable enough for holidays. And speaking of holidays, they often go on sale during the national ones, making it an excellent time to buy them. There will always be fancy “extras” when you’re making a big purchase, but a BBQ grill isn’t an ornament, it’s meant to be functional. Check product testing articles on the internet to see which brands come up on top, from charcoal to gas grills. This is a great way to learn more about the features that have been tested for each brand. Some stores will even schedule live demos of their indoor products. Check their websites to see if they have any workshops planned. 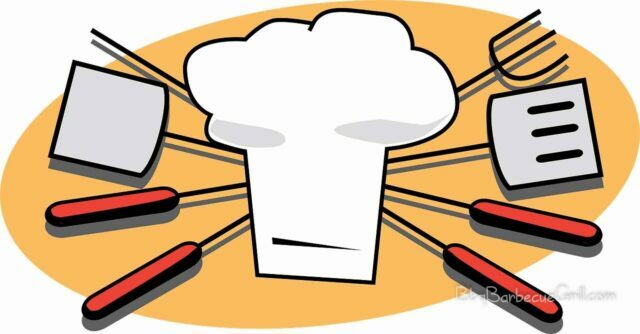 Some websites’ researchers take the time to look at each brand’s claims, consumer happiness with the product, and the quality of the product’s cooking. Reading articles, however, can’t compare to the actual experience of cooking. You can only get better at that by getting experience. The easiest way to do that is to get yourself a small outdoor grill, and start cooking. Almost everyone nowadays has a grill to pull out in the summer, and the majority of grills sold in the US are still charcoal. Charcoal will always be a favorite type of grill, because it reminds us of our roots. Humans have been grilling for over 800,000 years, and there’s hardly any sign that we’ll stop anytime soon. If you’re having trouble deciding on which grill to get, try the basic backyard grill, which you can get on Amazon. This is a good way to get a feel for the act of grilling itself. Once you’ve grilled for a while on a charcoal BBQ grill, you may want to try an indoor electric grill during the off-seasons or a screaming hot summer. When you grill on a small electric grill, you’re not taking up space and you’re also cutting the fat from the meat. This is much healthier than fried food, which is why people who grill have much more diet success. There’s a lot of flavor that is still preserved by grilling on an indoor electric grill. The gas grill really offers the best of both worlds; it can cook indoors or outdoors, wherever there is a proper gas source. It can create that smoky flavor but you can control the temperature of the heat, making it easier to judge when it’s time to flip burgers. Gas grills often have a griddle component, which makes it easier to cook multiple types of food on a wide surface. There are plenty of other articles on this website that go into detail on specific brands and how they cook food. This article only covers a tiny fraction of the knowledge you can gain by reading our blog. Please stick around and read up!